Tram | TOYAMA CHIHOU TETSUDOU INC. 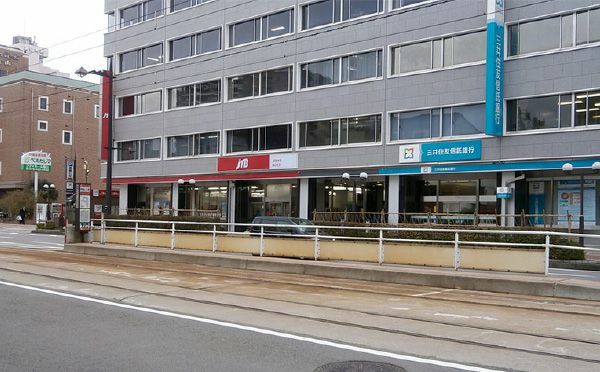 This tram services downtown Toyama. The "Shiden," as it is fondly known, takes many city inhabitants to work, school, and shopping destinations. Route 1 connects Minamitoyamaeki-mae and Toyama Sta, Route 2 takes passengers between Minamitoyamaeki-mae and Toyama Daigaku-mae via Toyama Sta, while Route 3 forms a loop line that circuits between Toyama Sta. and Grand Plaza‒mae. Trains arrive every 10 to 20 minutes on these three lines. 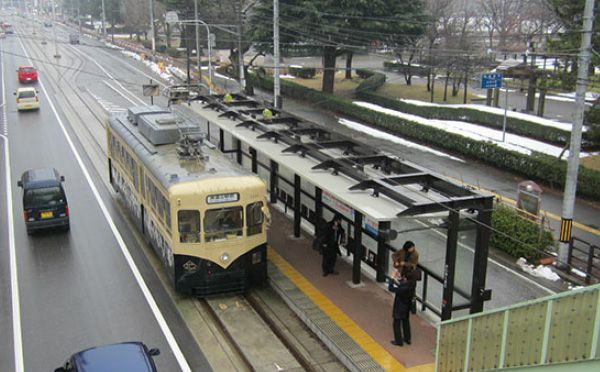 Passengers can ride in modern, low-floor cars or retro-style cars. *Elementary school students who are 12 years old may still be classified as children. Instructions are given in English on trains. When boarding trams, use the entrance door in the middle or rear of the car. To disembark, wait until your stop is announced and then put the nearby"降車"(disembark) button. Use the exit door in the front when disembarking. Fares are paid when disembarking. Before stepping off the tram, insert payment into the fare box at the front of the car. *As exact fare is required, use the money changer at the front or back of the car if necessary. Please note that fare boxes cannot produce change. (Note) ¥10,000, ¥5,000, and ¥2,000 bills are not accepted.